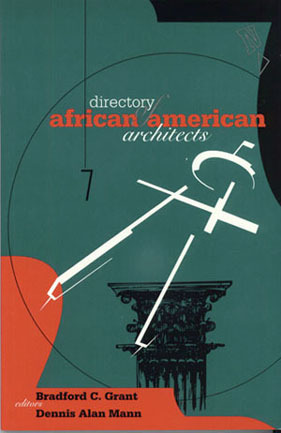 At time of writing, there are approximately 2,224 licensed African American architects in the United States—roughly 2 percent of the total population of licensed architects in the US. This is staggering in today’s world, where diversity is supposedly more than a buzzword. Studies show that including people of different backgrounds and races benefits everyone—something that is certainly true for architecture. Exposure to a diverse pool of contributors can enrich the field and generate more unique and innovative ideas. Over the past three years, curator Pascale Sablan has established an initiative that shines a spotlight on the impact of architects and allied professionals of color in the architecture and design community as well as the greater community at large. These individuals blazed a trail that is rarely acknowledged. In 2015, the New York chapter of National Organization of Minority Architects (NOMA), New York Coalition of Black Architects (NYCOBA), created a Membership Highlight initiative to acknowledge the work and accomplishments of these talented individuals on a monthly basis. The highlighted members range from sole practitioners to commissioners of city agencies to AIA fellows. This ongoing initiative has become a full exhibit that has been displayed at New York’s Center for Architecture, the United Nations Visitor Centre, and at S9 Architecture during the 2018 AIA National Convention. The SAY IT LOUD exhibition elevates the work of minority architects, engineers, and designers of color in a culture that often omits them and their contributions to the built environment. The exhibition features projects by twenty-one designers and includes quotes and video interviews on their experiences. The concept of this exhibit, according to Sablan, is “To see our faces, hear our voices, feel our impact within the colorful tapestry of our heritage.” This initiative has become an international movement, with local SAY IT LOUD exhibits slated for numerous states, conferences, and United Nations Information Centers worldwide. Blacklines of Architecture originated in a publication by a few ambition visionaries, resulting in about four issues. Printing costs were very expensive, and eventually the idea was put to bed until 2011, when I decided to revamp the concept. The focus shifted to include other related trades, such as landscape architecture and lighting design. I also shifted the project to an online publication called Blacklines of Design. My vision for Blacklines of Design is for it to be a channel for diverse and developing architects and designers of color to showcase their contributions to the global architectural community. The quarterly publication acts as a resource for those seeking to learn about the diversity of style and design that can strengthen the foundations of modern design as well as further an understanding of historic architecture. The online publication was received well by many designers who welcomed a place to finally exhibit their work. I was just as excited—but very nervous at the same time, as I was alone in the undertaking. I had to finance the project out of pocket. My first online issue included an article on a hot topic: hip-hop meets architecture. As a graduate student of cultural studies at the University of Minnesota, Craig Wilkins was struck by how people defined space at hip-hop raves. A group of college students started this dialogue at a National Organization of Minority Architects (NOMA) conference by a group of college students. It was a thought-provoking session to ignite a conversation about how hip-hop culture influences the built environment. The fresh discussion earned a positive response, and Wilkins went on to further investigate and document the relation between the dynamic shared components of the urban art form and design. Growing up in Detroit’s inner city, I didn’t see much art or architecture of any kind. I attended school in what was considered a failing district. I didn’t have many professionals coming to my schools for things like career day. I’ve recently realized I was indirectly exposed to something I would grow to love. I was good at drawing, art, math, and creative writing, which I would eventually learn are related to architecture. Against all odds, I managed to receive three college degrees, as well as become an adjunct professor in the college of architecture at my alma mater. My journey toward architecture inspired me to make the road easier for girls following the same path I did. In August 2017, the 400th living African American woman became licensed (as of 2018,there are over 110,000 licensed architects in the United States). My goal is to seek out the next 400 women architects through 400 Forward. Through this initiative, I can show girls in our inner cities they can accomplish anything, and that they can make needed change in our communities. I use my story as a tool of empowerment to create the next generation of women leaders in architecture. I aspire to be the face I was looking for growing up and look forward to using this initiative to shape the future of our profession while promoting social change. Sybil Griffin, the woman who saw something special in me and gave me my first job in architecture, inspired me to make a difference in my profession. The work and research of Roberta Washington on black women in architecture is also a source of motivation. These women and many others encourage me teach the next generation to change our world for the better. Tiffany works diligently to raise awareness on how planning and design makes a significant social impact in urban communities, and seeks to examine the influence of the built environment and its impacts on culture, behavior, and health. She is dedicated to rethinking architecture education for the traditionally underserved. In 1992, a collective of Chicago architects and designers founded Chicks in Architecture Refuse to Yield To Atavistic Thinking in Design and Society (CARYATIDS, or CARY). Although CARY’s 1993 exhibition, More Than the Sum of Our Body Parts (MTSOBP), has been largely forgotten, the group leveled critiques that resonate with recent activism and used exhibition strategies that are still provocative today. A review of CARY’s exhibition in Architecture magazine described how MTSOBP “shatters male myths,” “symbolizes limits,” and “exposes the inequities of pay, position, and power” in architecture practice. A video from the Randolph Street Gallery opening shows a stylish event with artists, architects, and designers enjoying cocktails as a rotating cast of men and women smile and pose through the cutout face of a caryatid. The Randolph Street Gallery was known for showing pioneering performance art, not architecture. 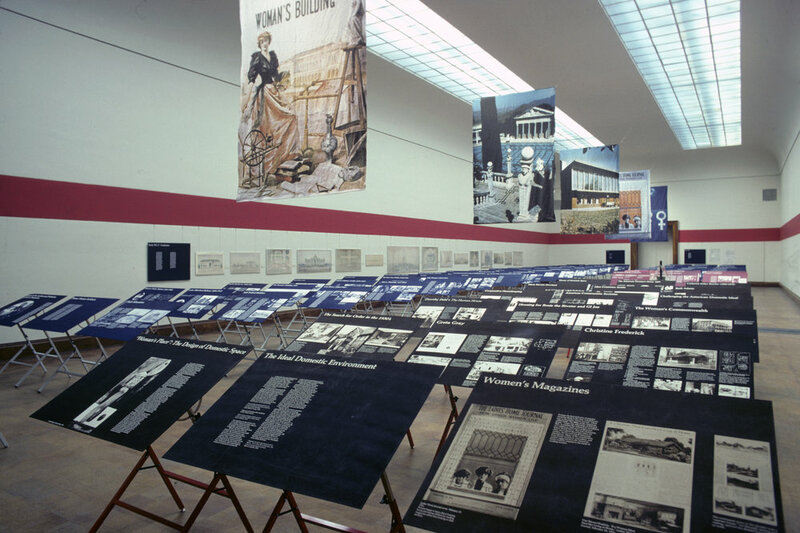 While no buildings were on display, the exhibition sent a strong message about what it means to be a woman in architecture and how the profession ought to respond. Had Maxman visited the exhibition, she would have seen a gallery dotted with large sculptures, each addressing a different aspect of architecture practice. Some addressed problems in workplace policy and ways the AIA could intervene. Just Relax, This May Cause Some Discomfort, for example, was a gynecological gurney covered by a paper printed with the Family Medical Leave Act, which President Clinton signed earlier that year. CARY pointed out that this legislation is ineffective for the 90 percent of architecture firms with twenty employees or fewer—a statistic that is still true today. Tea and Sympathy displayed the “loosely veiled excuses” women received in the workplace. CARY painted a series of teacups with an excuse (“We didn’t reschedule the meeting just for you”) and decoded the underlying reason on the tea tag (“Because you’re a mom”). This piece expressed the feeling of disposability the women felt, with shattered ceramic and mannequin limbs piled in a heap on the floor below the teacups. The Wall Street Journal, Chicago Tribune, and the Chicago Reader all covered MTSOBP, as did other publications as far-flung as Korea. Even if few of the thousands of convention visitors ventured to see the exhibition just a couple miles away, they were likely aware of it. The group disbanded shortly after the exhibition, although each of the three founders continued their advocacy in different ways. Sally Levine staged a similar exhibition, ALICE (Architecture Lets in Chicks Except) Through the Glass Ceiling in San Francisco in 1995. CARY crystallized in the early ’90s during the resurgence of women’s rights advocacy in the US known as feminism’s “third-wave,” which came several years after the Equal Rights Amendment was defeated in 1982 and the lively “second-wave” feminism of the women’s movement ended. In 1993, CARY’s tone surely reminded visitors of the Guerrilla Girls who were challenging the art world’s gender biases through posters, postcards, billboards, and protests filled with puns and revelatory statistics. MTSOBP’s expressive sculpture, however, recalled an earlier era of feminist art, like Judy Chicago’s vignette-filled Womanhouse in Los Angeles in 1972. As CARY stated in the exhibition with some irony, “The choice of homemaker and home maker is no longer mutually exclusive.” The number of women architects in the US has risen slightly, from 15 percent in 1993 to 24 percent in 2016, and the AIA has inaugurated three women as presidents since Maxman’s term. As Despina Stratigakos reports, women still drop out of the profession in disproportionate numbers, although advocacy organizations like ArchiteXX, the Beverly Willis Foundation, and others throughout the country, hope to change that. Since 1993, the AIA has done formidable work addressing equity in architecture through its Equity by Design initiative, although recent events signal the ongoing rift between the organization and its membership. Two decades after CARY, the Architecture Lobby staged its own protest to the 2014 AIA National Convention in Chicago, reading a list of demands outside the convention hall on behalf of architecture’s “precarious workers.” This year, the Architecture Lobby takes their advocacy for fair labor practices one step further, launching JustDesign.Us, an accreditation program to recognize compliant firms. The #NotMyAIA hashtag that began trending since the AIA sent a complacent letter to then President-elect Donald Trump is just another indication that although much has changed in the architectural profession, CARY’s complaints reverberate more than ever. Note: a version of this article appeared in the Chicago Architecture Biennial Blog. In 1972, architectural journalist Ellen Perry Berkeley identified a nascent feminist movement in architecture. Her article, “Women in Architecture,” was published in the September issue of Architectural Forum, where she was a senior editor. Relying on anecdotal evidence and the few statistics available, Berkeley described a profession that resisted the entry of women and was not supportive of those who fought their way into the field. She argued that this was endemic across schools, practices, and the American Institute of Architects (AIA). Compared to Berkeley’s, Dinerman’s article—published only three years earlier—received very little attention. What changed in those three years? Between 1968 and 1970, feminists gained mainstream attention with a series protests and theatrical stunts, culminating in the Women’s March for Equality on August 26th, 1970 (fifty years after the passage of the Nineteenth amendment).4 By 1972, women in architecture were enthusiastic about fighting for changes and were already starting to organize in a way that they had not in 1969. While writing her article, Berkeley was able to draw on a network of women architects. She was a member of the the Alliance of Women in Architecture (AWA) in New York (in fact, she was one of the founding members), and she was connected to women in Boston who had formed Women Architects, Landscape Architects and Planning (WALAP). Not only was she able to report that these groups were helping women overcome their isolation to work together against discrimination, but she was able to go further in her analysis of the problems than Dinerman had. At the time of writing, there was no extensive research on the status of women in the profession. Berkeley reached out to practitioners, students, educators, and the AIA for information. Although much of her evidence was anecdotal, she convincingly grouped individual accounts of discrimination to show the extent of it while also providing stories that women facing similar situations could identify with. Berkeley ended the article on an optimistic note: women were angry but engaged; they “want[ed] ‘in’ to this world.” Not only did she leave the reader with a clear picture of the problems, she provided the means to do something about it, with contact information for the various individuals and organizations already active. The feedback Berkeley received was immediate, and the article helped to inspire women in other parts of the country to organize. In a letter to Dolores Hayden, dated October 29, 1972, Berkeley wrote, “As a result of the Forum article, there seems to be a great deal more contact in general. Our NY group has a number of letters from around the country, and WALAP may have the same.”5 Hayden wrote back, “The Forum article was a really fine piece of work—I cheered as I read.”6 Doris Cole wrote to Berkeley that she thought the article “was most interesting and informative.” For Wendy Bertrand, a founding member of OWA, the article was a “landmark,”7 and Inge Horton—who wrote a history of the OWA—credited the examples of women’s organization, presented by Berkeley, as inspiration for creating their own group. 1 For example: Rita Reif, “Fighting the System in the Male-Dominated Field of Architecture,” The New York Times, April 11, 1971, 60. 2 Beatrice Dinerman, “Women in Architecture,” Architectural Forum 131 (December 1969): 50–51. 3 Dinerman, “Women in Architecture,” 51. 4 Laura Tanenbaum and Mark Engler, “Feminist Organizing After the Women’s March: Lessons from the Second Wave,” Dissent Maganize, January 25, 2017, https://www.dissentmagazine.org/online_articles/lessons-second-wave-radical-feminism-womens-liberation-movement. 5 Ellen Perry Berkeley, Letter to Dolores Hayden, October 29, 1972, Ellen Perry Berkeley personal files (now donated to Smith College). Regi Weile also reported that the AWA received more than 100 letters in response to the article, AWA Steering Committee, Agenda January 10, 1973, Berkeley personal papers. 6 Dolores Hayden, note to Ellen Perry Berkeley, November 2, 1972, Berkeley personal files. 7 Wendy Bertrand, Enamored with Place (San Francisco: eyeonplace, 2012), 158. She expressed this again when I interviewed her. Wendy Bertrand, interview with author, February 13, 2013. Pages from the catalogue of Broadening the Discourse, an exhibition and conference, Santa Monica, CA, 1992. "Organization of Women Architects and Design Professionals Records, 1965-2005," Ms1988-080, Special Collections, Virginia Tech, Blacksburg, VA. Broadening the Discourse, an exhibition on women designers in California, opened its doors on January 24, 1992, to the onlookers and pedestrians of Santa Monica, CA. This exhibition was part of an annual statewide conference of the same name for women in design hosted by the California Women in Environmental Design (CWED) and cosponsored by the Association for Women in Architecture (AWA) and the UCLA Extension School for Environmental and Interior Design. The main symposium of the conference, titled Women in Environmental Design: Reconsidering Feminist Issues, included the panelists Susana Torre, Jacqueline Leavitt, Sheila Levrant de Bretteville, and moderator Ann Bergren. They addressed the relationship between feminist visions of architecture, space and the gaze of the profession. The exhibition catalog stated it was “Broadening the Gaze” by attempting to acknowledge these systems and challenge or refuse them. This gaze is a constructed view of the modalities that feminist film theorist Laura Mulvey established as the male gaze, maintaining and controlling women and their sexuality as subjective objects.4 The woman is thus an object to be looked at for pleasure and controlled according to this gaze which associatively translates to objects that are associated with femininity and sexuality. This gaze informs social and power structures, and architectural structures become the visions of production and fetishization of these social models. The vision, claimed Mark Wigley in his essay, “Untitled: The Housing of Gender,” is the political and “often the most privileged.”5 Vision is representation, and what visualizations are enacted and seen reflect the gaze that is upon them. How gender varies, and how one refuses to be the category subjected by the gaze, is also demonstrative of what visions of representation are privileged. The exhibition was an open submission to all women architects in California (as opposed to only women within CWED’s membership). An all-female jury selected projects, sustaining the CWED’s historic premise of creating visibility and validation within a female gaze.6 The jury intended to challenge the relationship between how people believed women designed and what was being designed (commissions), as well as how feminist ideologies were considered in design. This focus on visibility has also been part of the writing of women’s architectural history7 and the women entering into institutions and achieving positions of authority—be it within universities, publications, or other organizations. Visibility is also deduced through institutions, such as the American Institute of Architects, which performed surveys that showed percentages of women in the profession. At the same time in the late 1980s and early 1990s, visible bodies within institutions were directing and challenging gendered assumptions. In 1990, Adele Santos became the first women dean in an architecture school at the New School of Architecture at UC San Diego. CWED symposium panelist Sheila Levrant de Bretteville was named the head of the graphics department at Yale in 1990, and Susana Torre became the chair of the environmental design department at Parsons in New York in 1991. Participants of Women in Environmental Design: Reconsidering Feminist Issues reviewed existing feminist theories. These discussions surrounding representations in architecture that facilitated new perspectives into how women’s work has been viewed and categorized regarding representation, space, sexuality, and gender. The exhibition and the conference discourse attempted to confuse and neutralize the gaze, so as to interpret new meanings. These events posed a different construction and idea of gender—terms that took hold at the level of subjectivity and representation, in the micropolitical practices of daily life and daily resistances that afford agency, and in the cultural productions of women and feminists that inscribe that movement in and out of ideology. 1 Kevin McMahon, “Observations from the Gender-Free Zone: Broadening the Discourse 5th Annual Conference (co-sponsored by the AWA),” LA Architect Magazine (March 1992), 14. 2 Broadening the Discourse catalog, “Broadening the Gaze: Feminist Strategies for Exhibiting Women’s Work. Lian Hurst Mann Talks with Darlene Crosby,” 7. 3 Beatriz Colomina, Sexuality and Space (New York, NY, Princeton Architectural Press, 1992). 4 Laura Mulvey, “Visual Pleasure and Narrative Cinema”, Visual and Other Pleasures (New York: Palgrave Macmillion, 2nd ed 2009). 5 Mark Wigley, “Untitled: The Housing of Gender,” in Sexuality and Space, ed Beatriz Colomina (New York, NY, Princeton Architectural Press, 1992), 362. 6 Despina Stratigakos discusses in her book A Women’s Berlin how the Women’s Club validated their work for exhibitions. “The use of male judges, which became standard practice at both the London and Berlin clubs, sent the message that women artists had received the most stringent seal of approval – that of their male colleagues.” Despina Stratigakos, A Women’s Berlin: Building the Modern City (Minneapolis, University of Minnesota Press, 2008), 27. Torre states that by the 1970s “the work is judged by the women themselves and by others on its own merits: through this evaluation women raise their own demands about the quality of their work and finally validate their image as professionals for themselves.” Susana Torre, “Women in Architecture and the New Feminism,” in Women In American Architecture: A Historic and Contemporary Perspective, ed. Susana Torre. (New York: Billboard Publications, 1977). The performance of validation slowly changed as women were judging and qualifying their work, yet the questions in the 1990s of quality were still in the culture languages of how women’s work was viewed. 7 Examples of such histories are Gwendolyn Wright’s “On the Fringe of the Profession: Women in American Architecture,” in The Architect: Chapters in the History of the Profession, edited by Spiro Kostof, (New York: Oxford University Press, 1977), 280-308; and Dolores Hayden’s The Grand Domestic Revolution: a History of Feminist Designs for American Homes, Neighborhoods, and Cities (Cambridge, MA: The MIT Press, 1981). Martina Dolejsova (MSc critical, curatorial, and conceptual practices of architecture, Columbia University) is the communications coordinator at Studio Libeskind in New York City. She has contributed articles to the Architect’s Newspaper, Archinect, PIN-UP, and Artillery magazine and curated the pop-up series, A Picture is Worth 500 Words.